Marshall Engg. 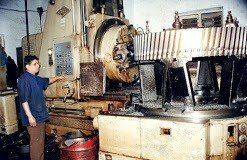 Works started cutting gears way back in 1964, We have evolved in each area of Industrial gear cutting and are today a full service gear manufacturing company providing precision gear products and power transmission services. We have supplied Gears and gear components to the following industries.